This article addresses the legal implementation of foreign hereditary titles in Spain. While this article presents a short introduction to the matter, it does not, however, replace a detailed legal consultation with a qualified lawyer. ns for the regulation of foreign successions. The subject of foreign successions is a very complex matter because it attempts to balance multiple different legal systems. Two aspects that are common and indispensable to understanding this matter in the context of private international law include (1) when Spanish courts have jurisdiction, and (2) which law applies in cases of international successions. Article 22 of Law 6/1985 of July 1 of Judicial Power regulates when Spanish courts have jurisdiction. This Article regulates, among other things, when Spanish courts are competent ones under general Spanish civil law. – The implementation of foreign judgments and titles. 2. Spanish courts also generally have jurisdiction when the parties have agreed upon it, either expressly or by implication, or when the defendant lives in Spain. – To answer questions regarding successions when the testator’s last place of residence was Spain or the testator possessed property in Spain. – Spanish courts have exclusive jurisdictional power over several specific types of cases. Foreign judgments, then, are not recognised in these cases. – An individual can choose Spain as the appropriate jurisdiction either expressly or by implication. In doing so, it is important to note that Article 55 of the Spanish Code of Civil Procedure requires that the parties expressly agree on a court. – The power of the courts to hear succession cases may depend on the domicile of the defendant. – Spanish courts have jurisdictional power when the last domicile of the testator was in Spain or the testator had at least possessed property in Spain. Successions are governed by the law of the state to which the deceased last belonged – regardless of the location of the succession. That law also governs the legal share. Testamentary dispositions or contracts of inheritance are interpreted in the light of the country in which they were finalized, even if it is not that to which the deceased last belonged. The rights of widowed spouses are governed by the law that governed the marriage. The law of the state to which the deceased last belonged governs legal successions. This applies regardless of the country in which the succession is located. 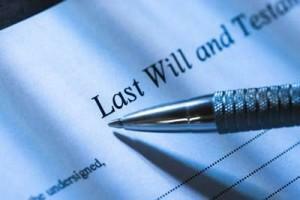 The law of the state in which the will was created governs testamentary successions. This law can be different from that of the nationality of the deceased. The applicable regulations regarding the legal share originate in the law of the state to which the deceased last belonged. If a British citizen creates a will under British law (which does not use the legal share principle), becomes a Spanish citizen, and then passes away, the British citizen’s will as a Spanish citizen would be governed by British law. However, the Spanish regulations regarding the legal share, which are foreign to British law, would have to be applied to this case. The consequence would be that a large part of the inheritance would not go to the inheritors named in the contract but to the beneficiary of the legal share. It would also be possible for another law to apply in the case where the deceased were married. The law that governed the marriage governs the widowers’ rights.. Therefore, it is possible that three different national laws apply to a single succession case. Therefore, succession cases with international ramifications can be extremely complex. Both the determination of the appropriate jurisdiction and the applicable law imply a detailed analysis for every case.